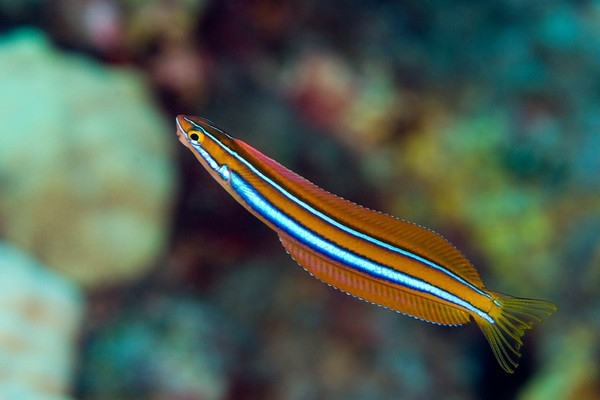 The Cleaner Wrasse is a typically small species of fish found in the coastal waters of the world’s major oceans. 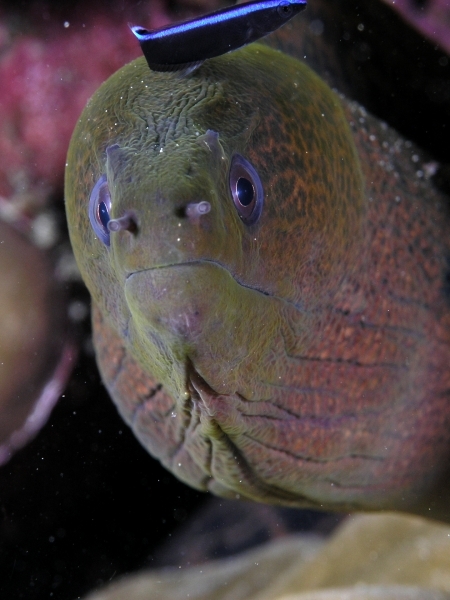 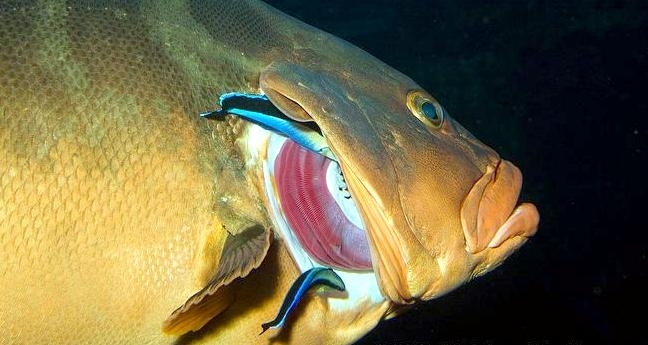 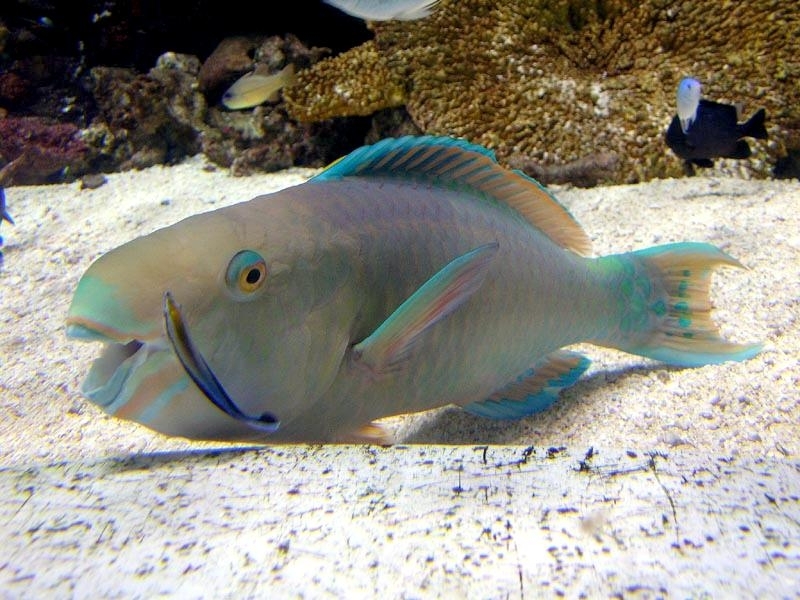 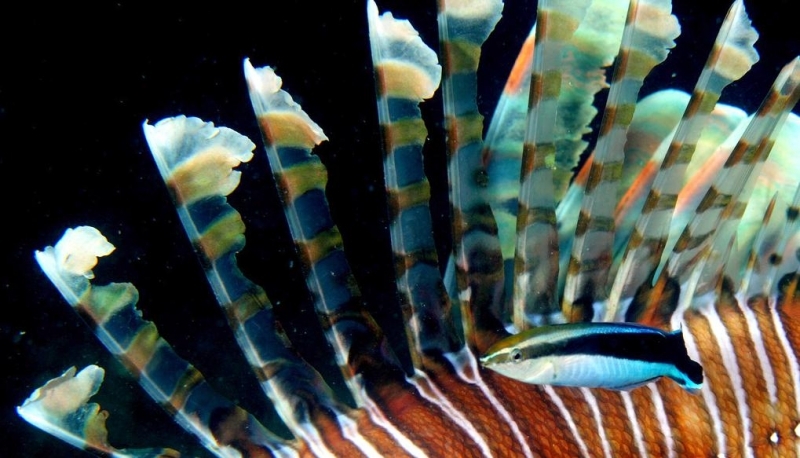 The word “wrasse” comes from the Cornish word wragh, meaning an old woman or hag via the Cornish dialect wrath. 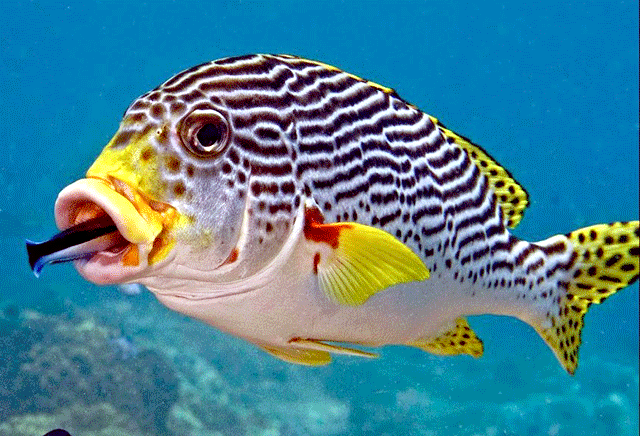 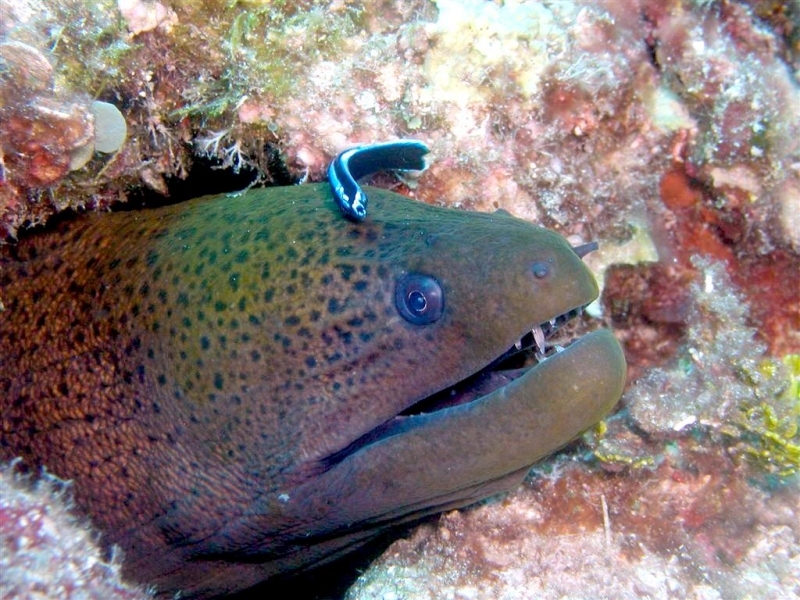 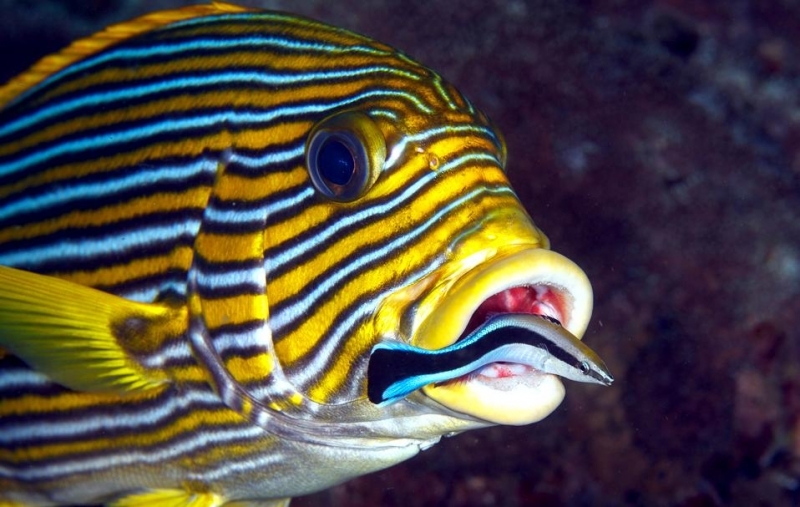 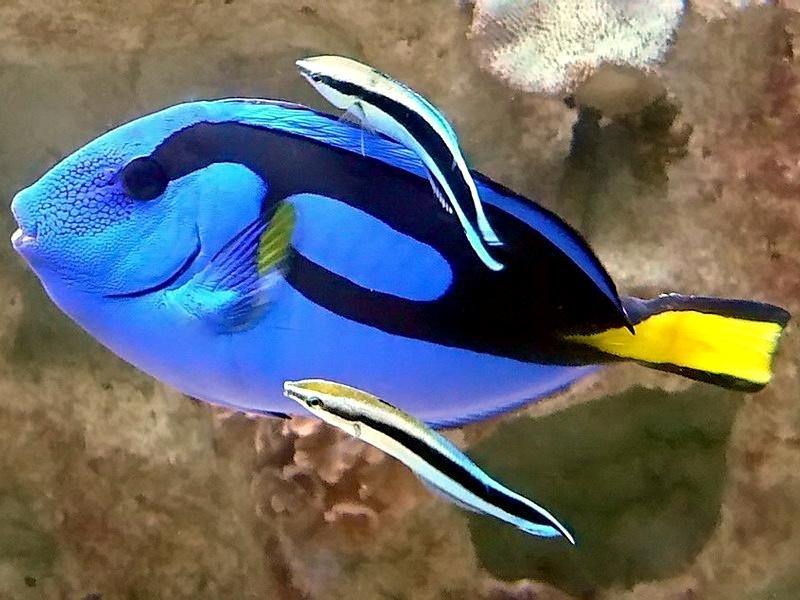 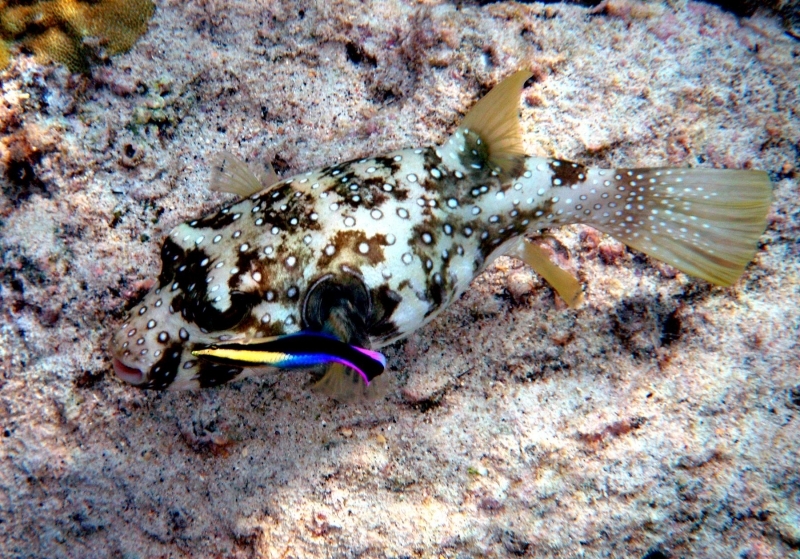 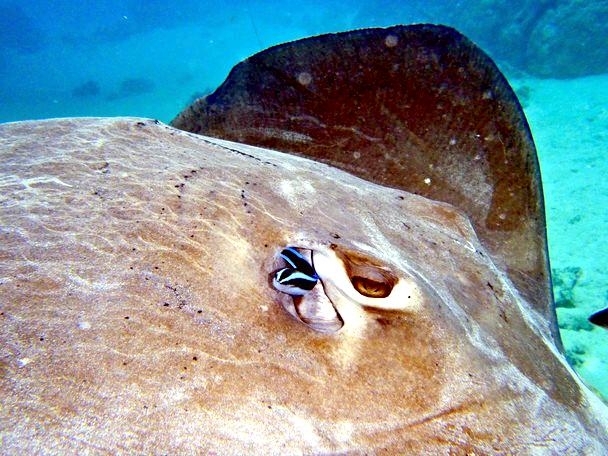 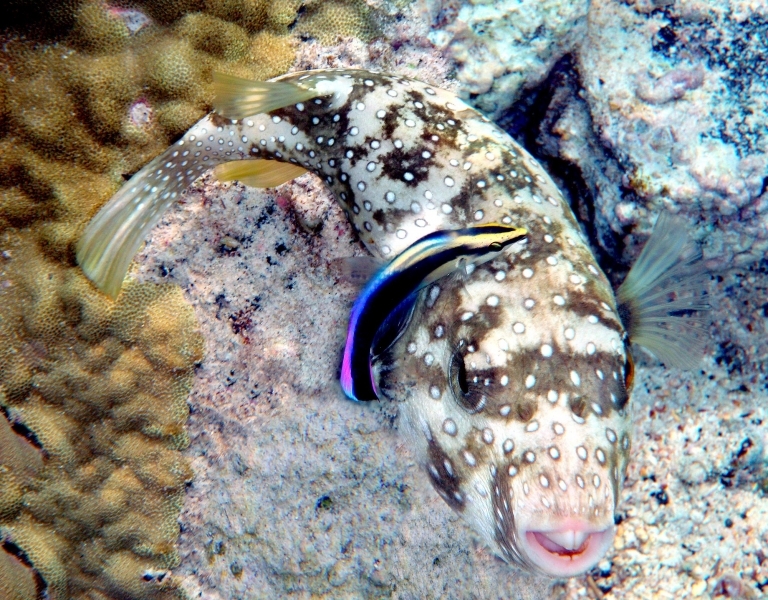 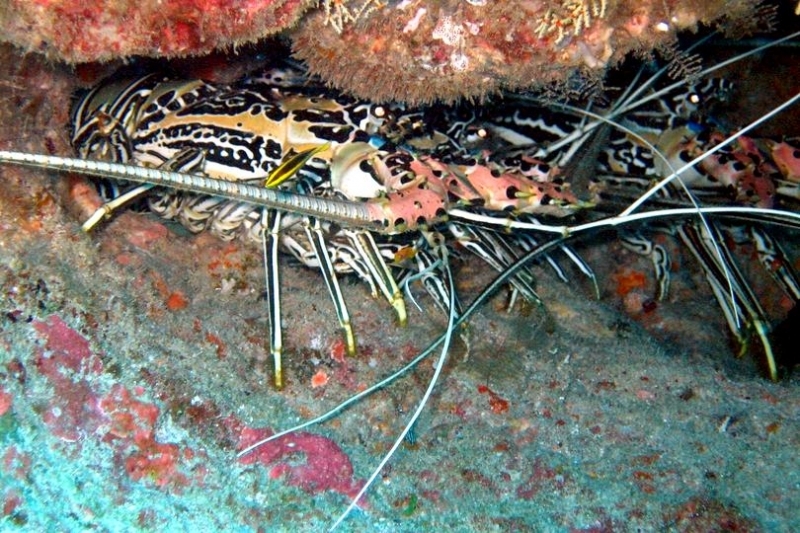 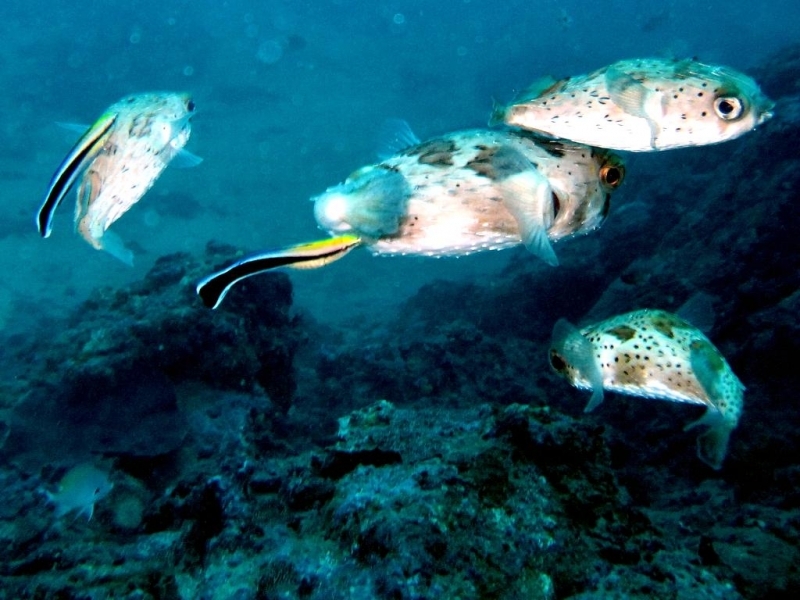 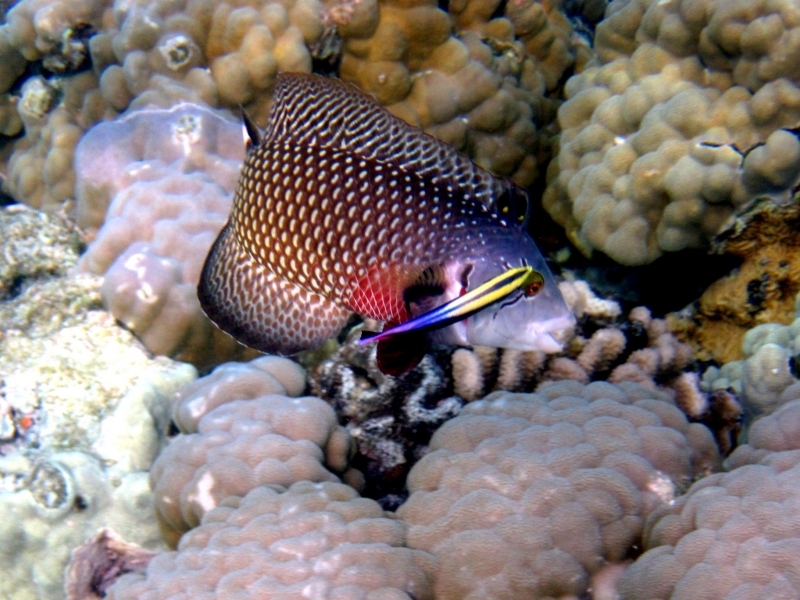 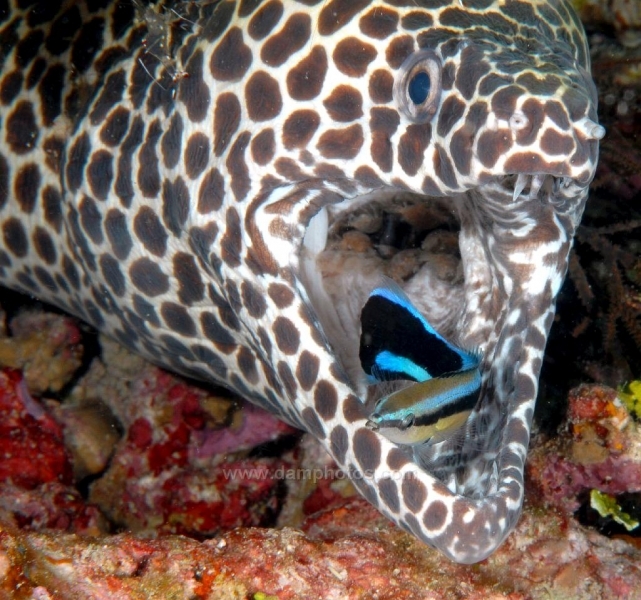 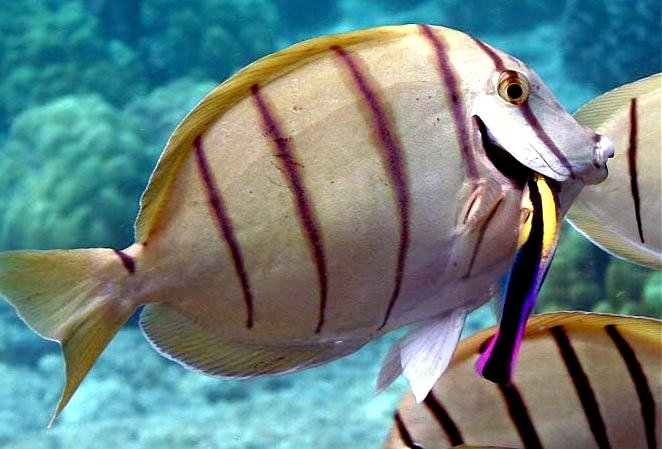 The Cleaner Wrasse is often seen alongside other marine animals including sharks and in a natural “cleaning station” where various marinelife come to be cleaned. 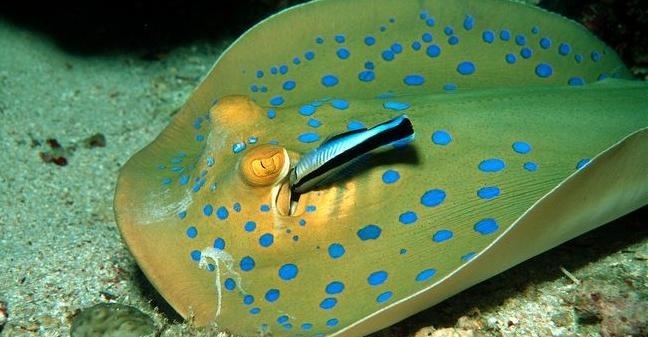 This situation is very similar to a “drive-through” car wash. 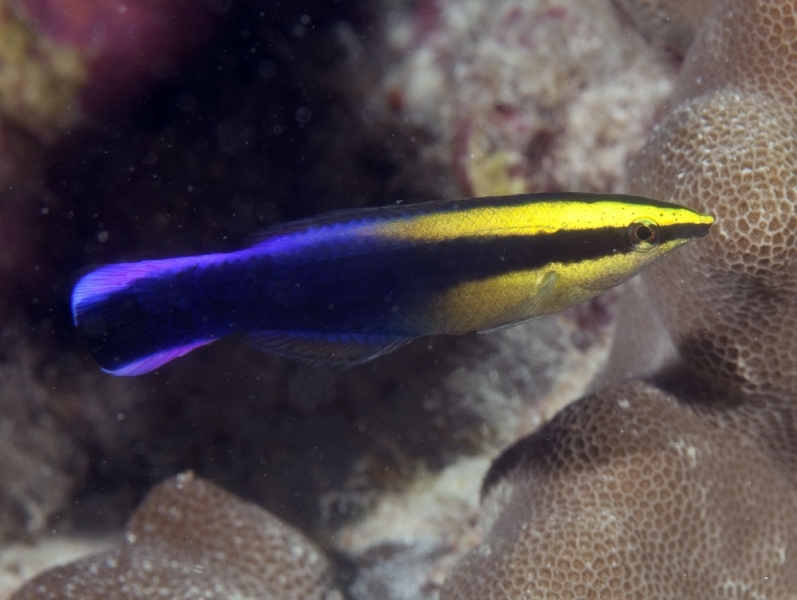 There are more than 500 different species of Cleaner Wrasse found in the shallower coastal waters & coral reefs of the Pacific, Indian and Atlantic oceans. 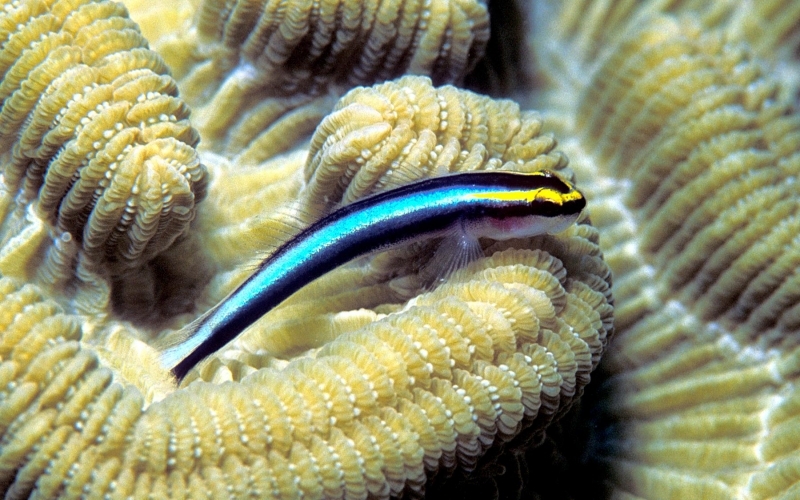 Cleaner Wrasse most commonly inhabit areas that have an abundance of both food and places to hide, making coral reefs and rocky shores the perfect home. 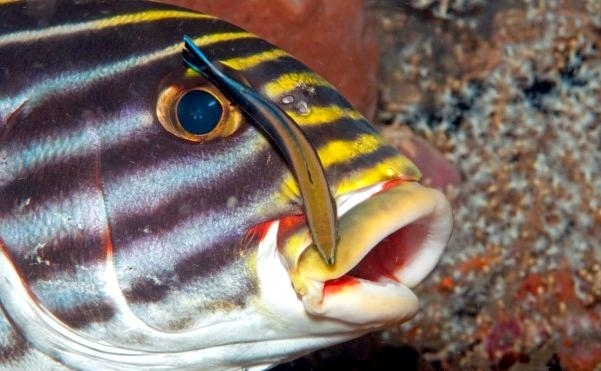 Cleaner Wrasse are the most well-known wrasse species as they are often seen going into the mouths of large marine animals in order remove the dead material inside. 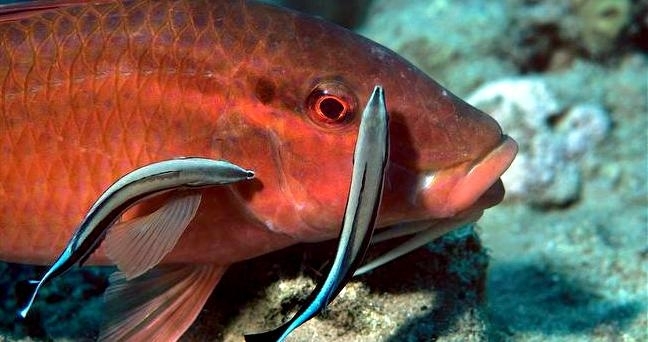 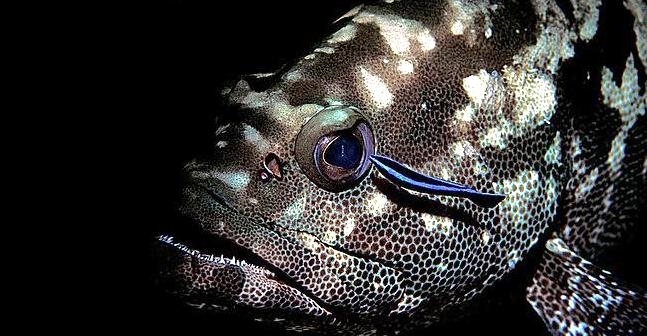 Cleaner Wrasse feed on dead tissues, scales & parasites that lurk inside the mouth of the larger animal and few are actually eaten by the predator that they are assisting. 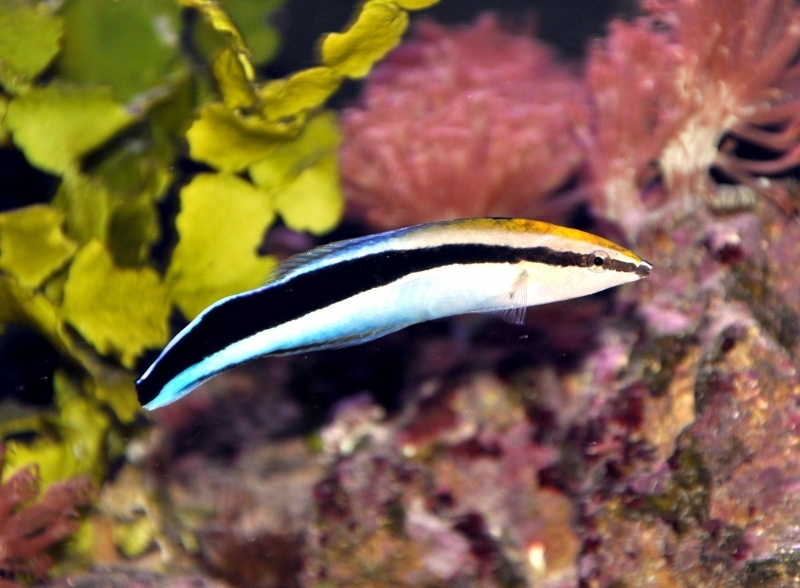 The Cleaner Wrasse comes in a variety of colors and sizes depending on the species. 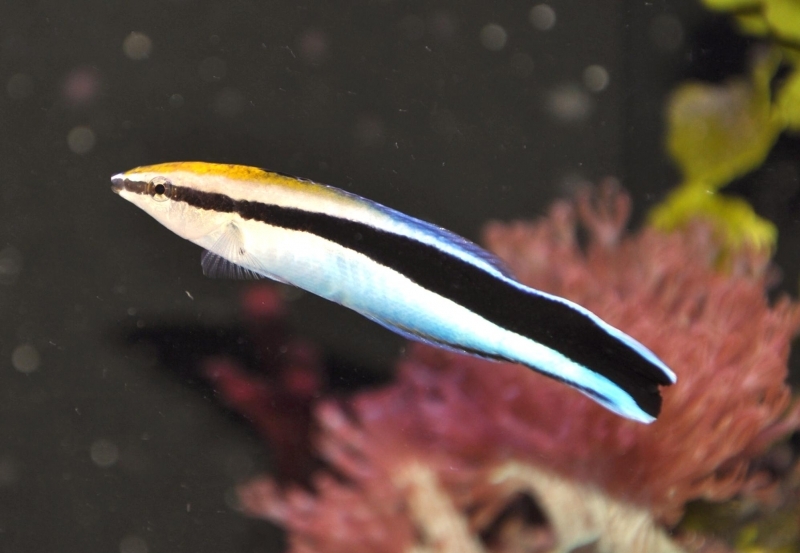 Cleaner Wrasse tend to be relatively small in size, with many species being less than 20 centimeters in length. 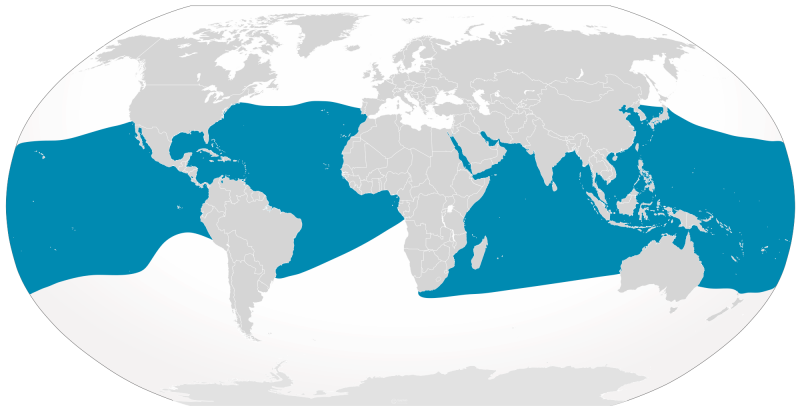 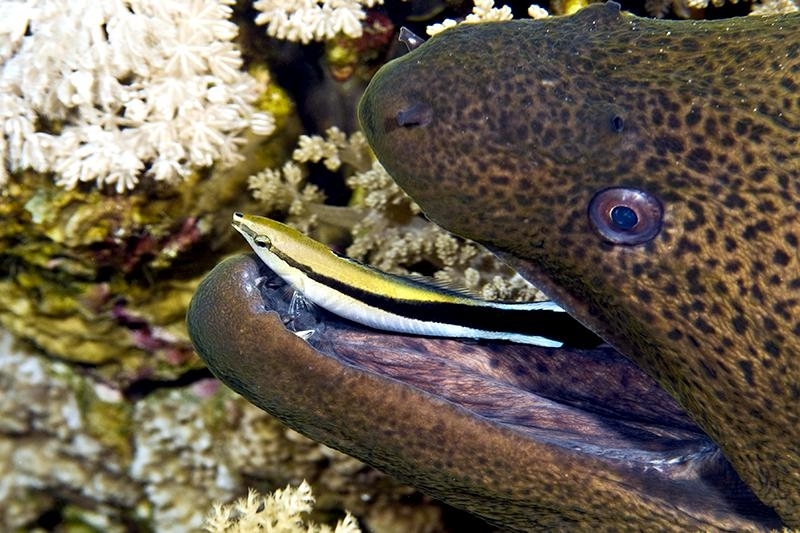 One species of Cleaner Wrasse however is enormous in comparison, growing to more than 2 meters long. 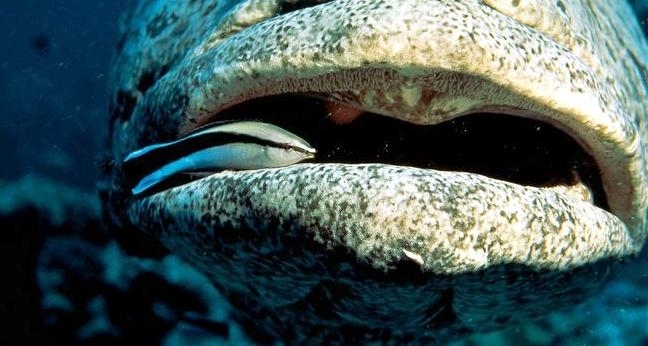 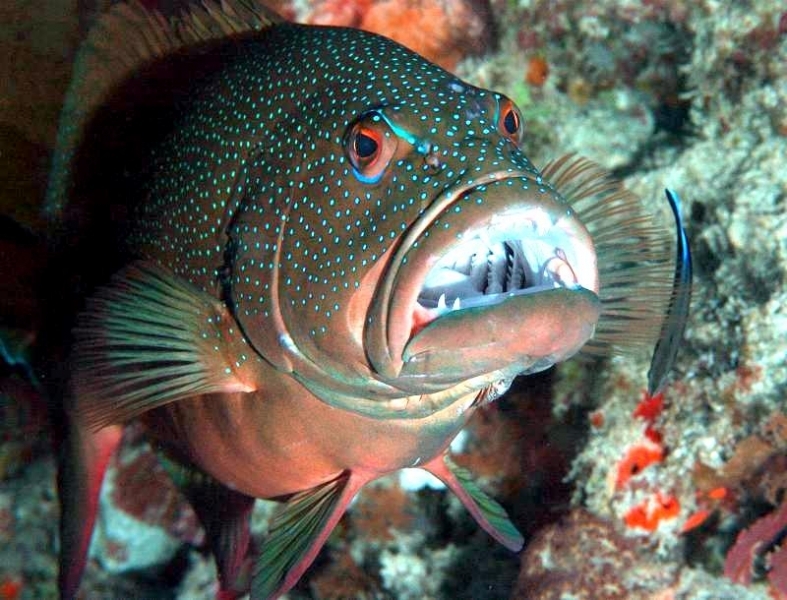 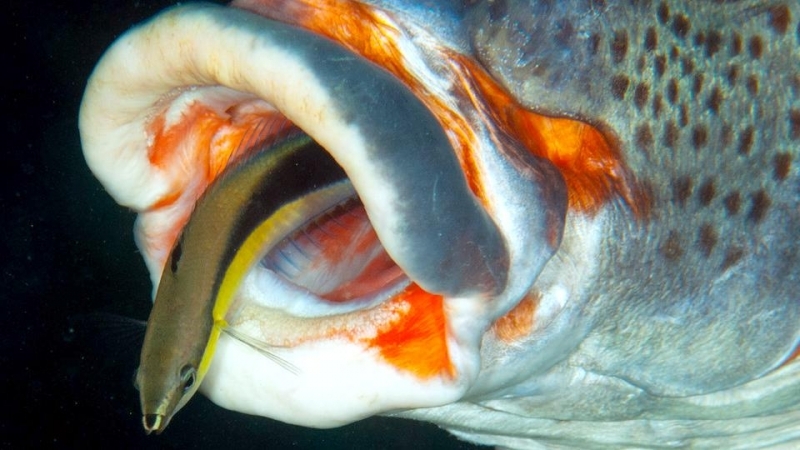 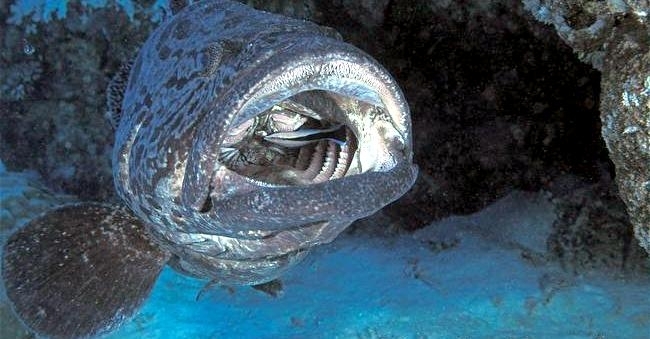 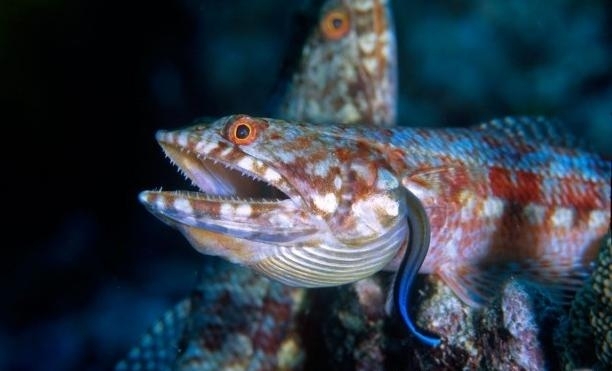 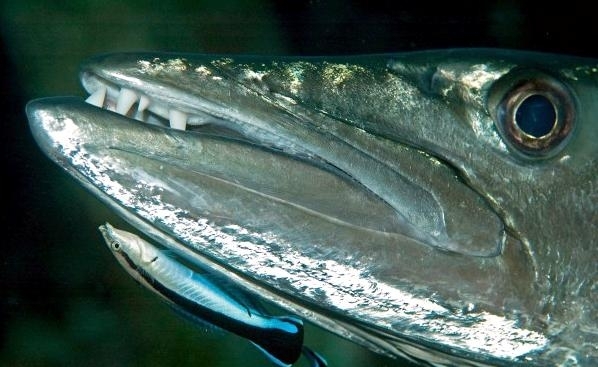 Cleaner Wrasse are carnivorous animals that have thick lips with a row of teeth that usually face outwards. 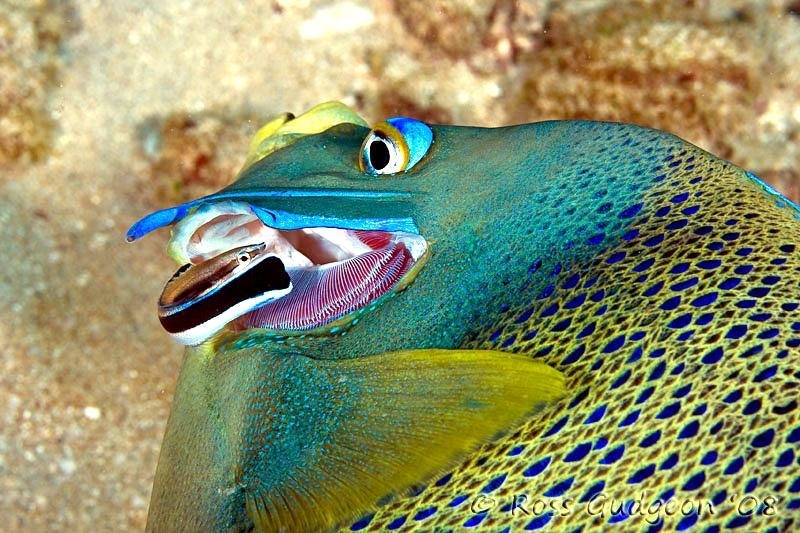 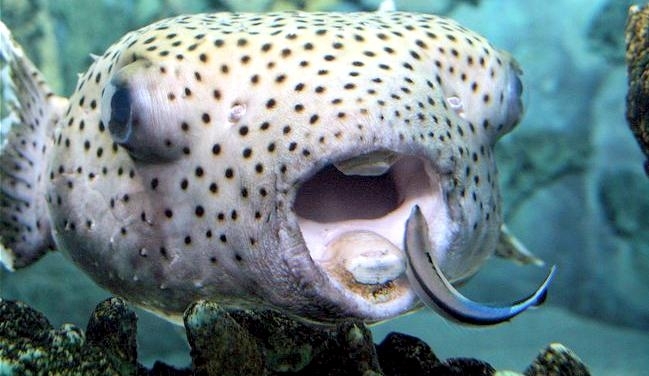 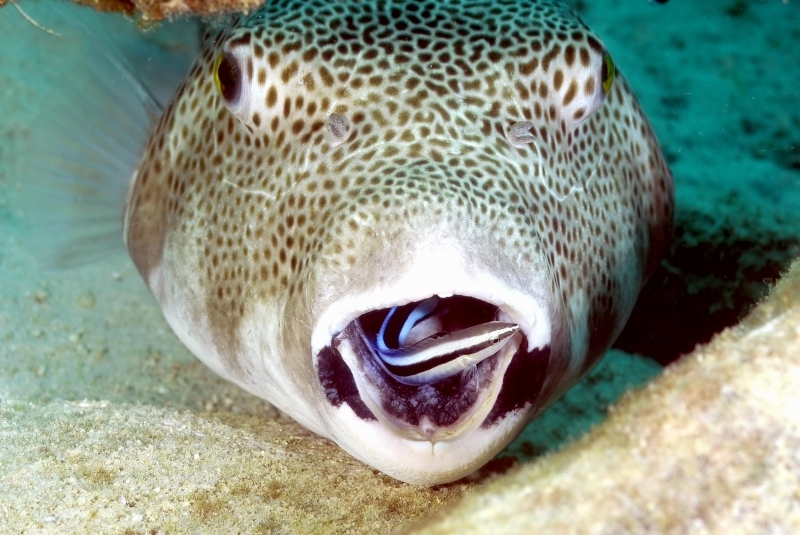 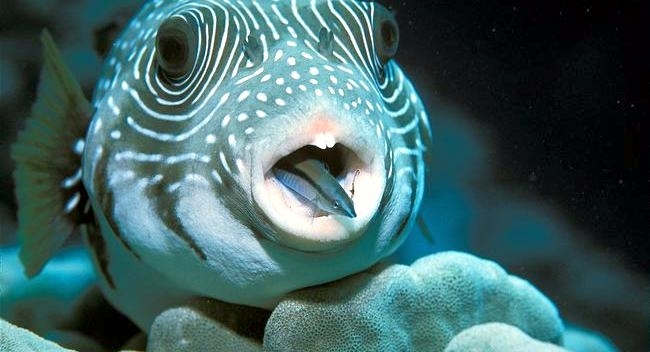 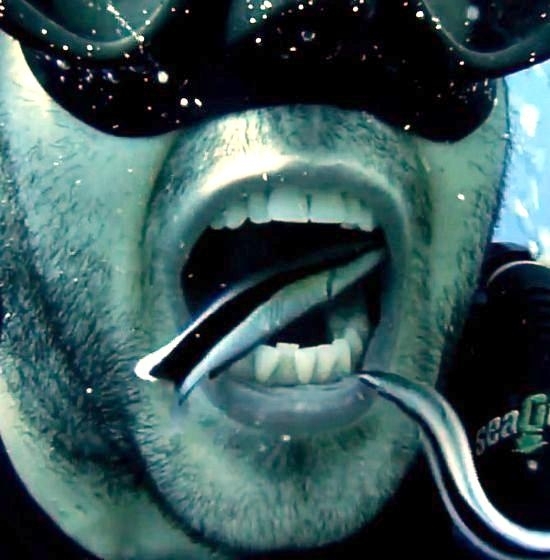 The mouth of the Cleaner Wrasse is protractile which means that it is capable of extending forwards. 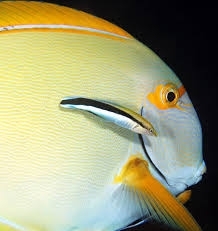 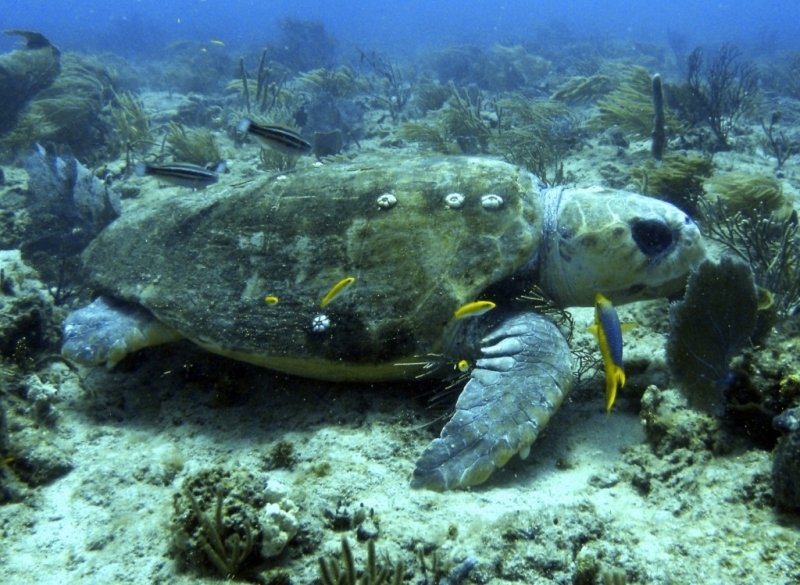 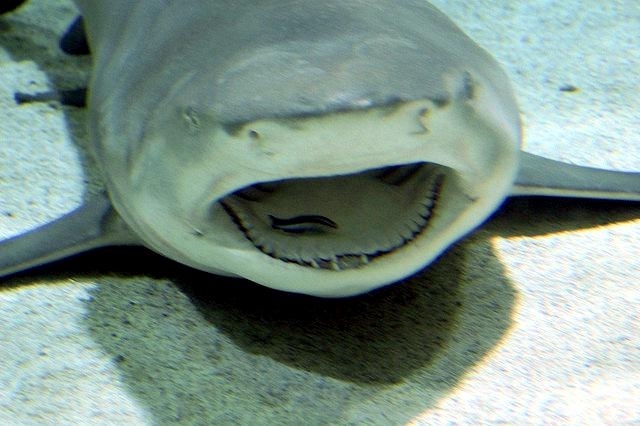 They feed on a number of small invertebrates, small fish and food particles in the water. 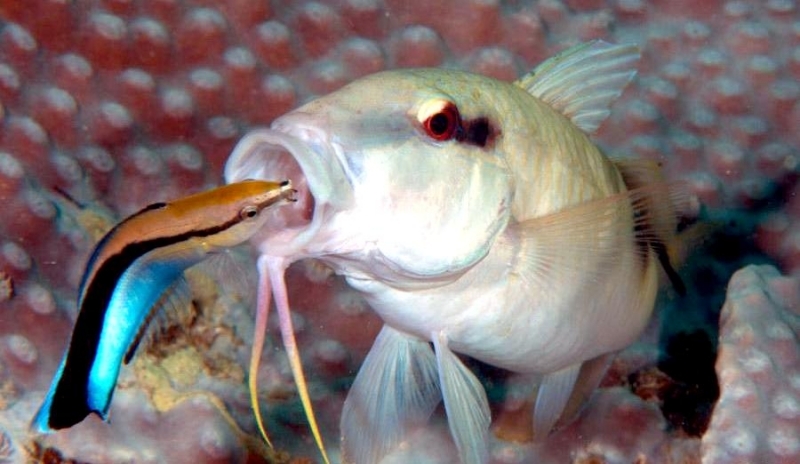 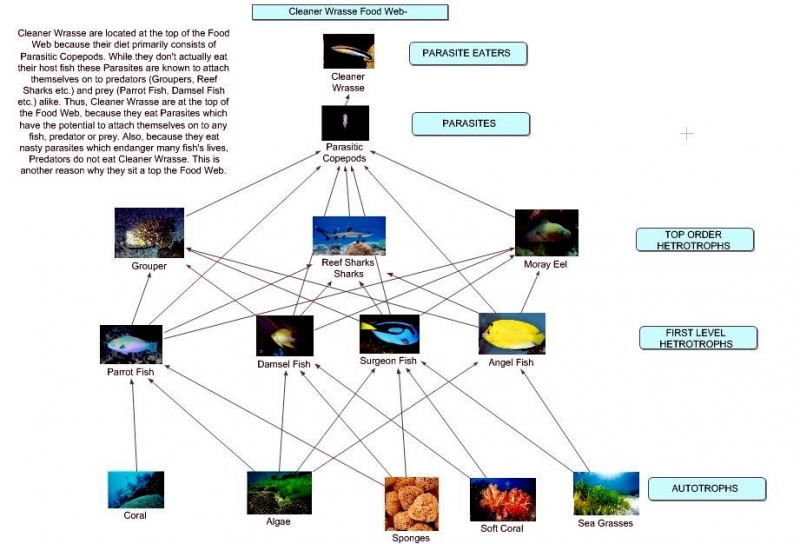 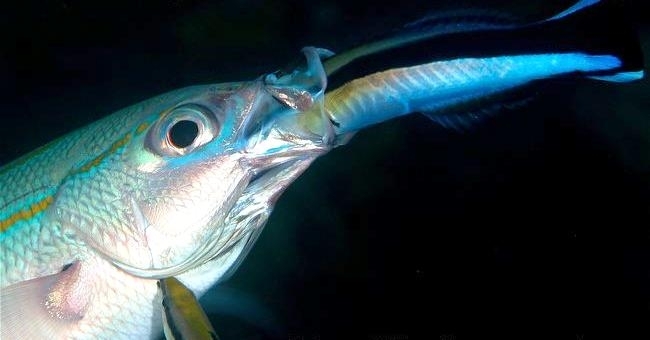 Cleaner Wrasse are also known to follow large predatory fish, eating the trail of left-overs that it leaves behind it. 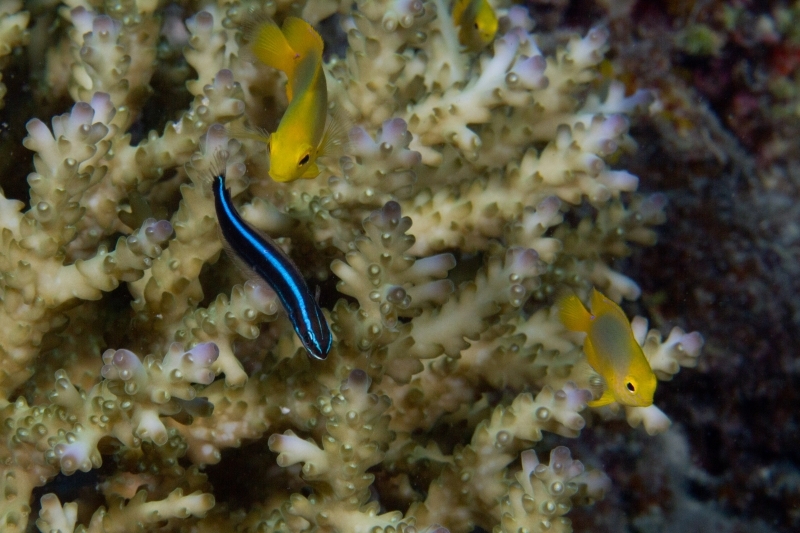 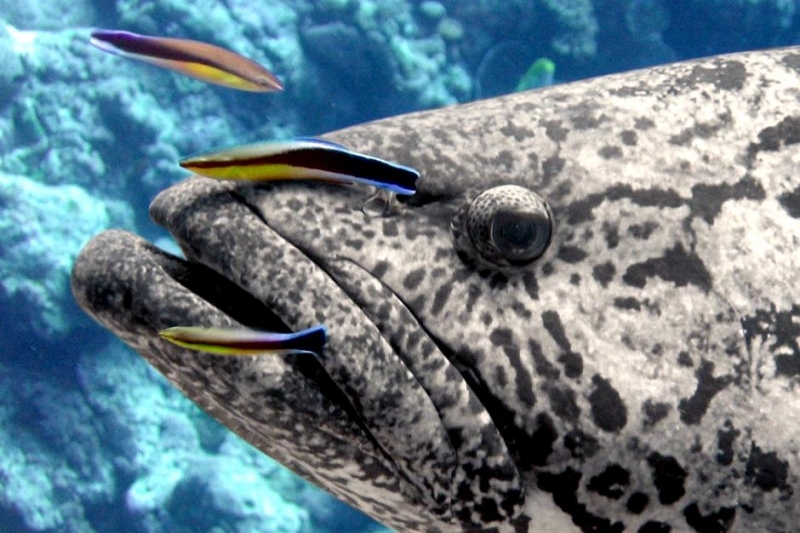 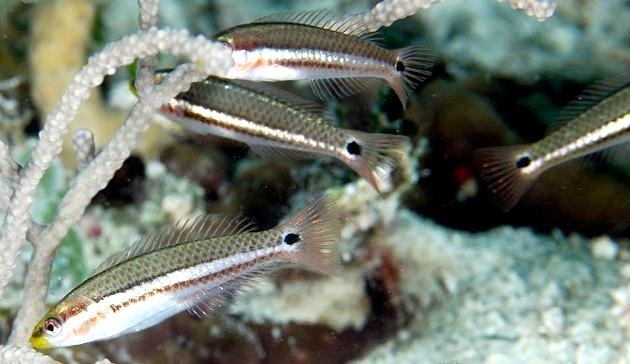 Due to their small size, Cleaner Wrasse have numerous predators in their natural environment including larger fish as well some smaller species of shark. 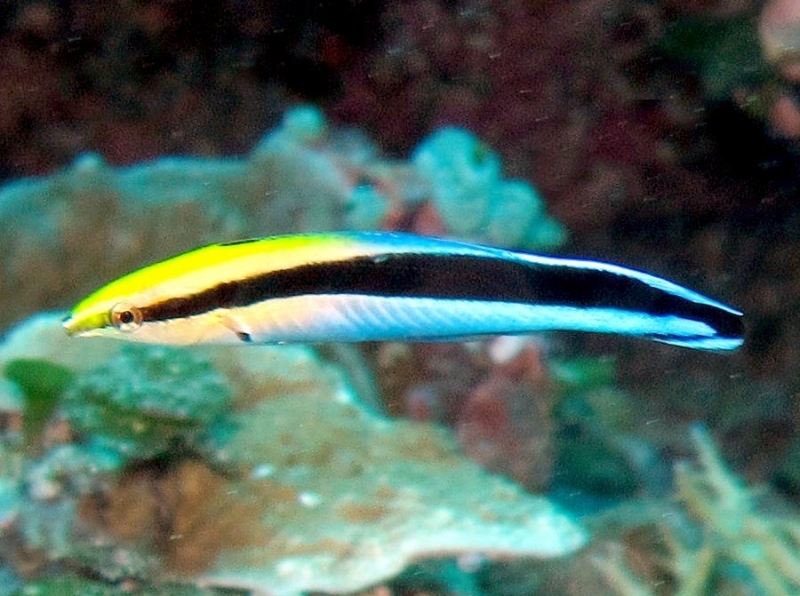 Cleaner Wrasse are known to live for a relatively long-time particularly for their small size. 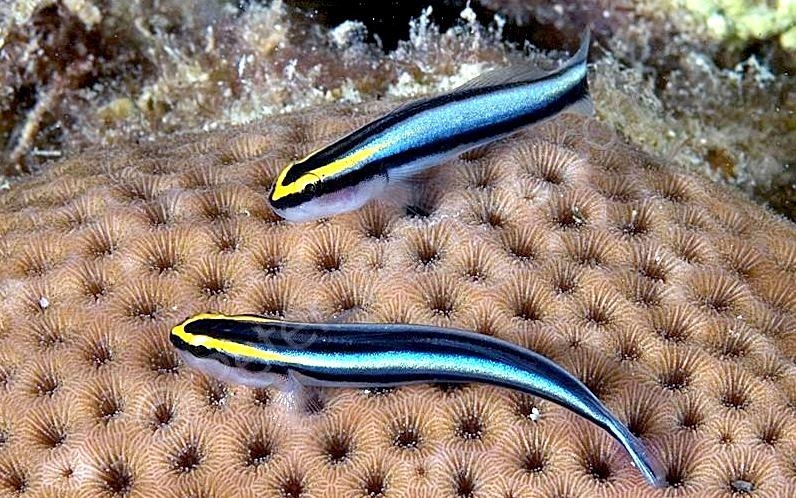 Cleaner Wrasse mate by releasing their eggs & sperm in to the water, which are fertilized and become part of the plankton until they are big enough to join the reef. 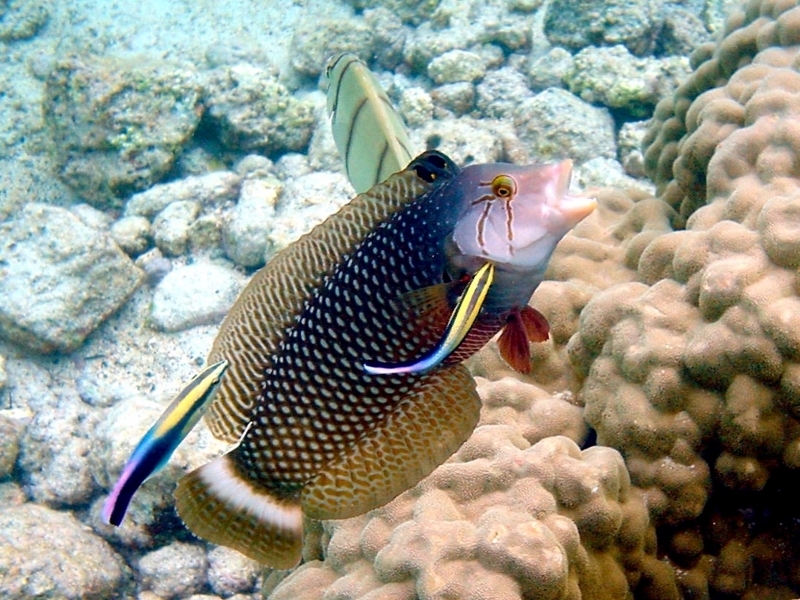 Females lay thousands of eggs at at time, so the Cleaner Wrasse population numbers are relatively high.